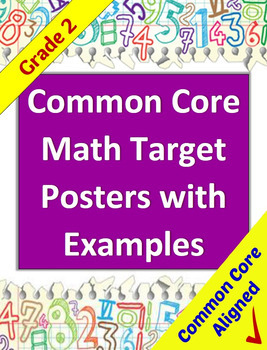 All the Common Core State Standard math target posters for your grade level, written so students can truly understand them. Each one has an illustrated example - many in color! The simple language and example ensure that students understand what the target means and how they can show they have mastered it. Download the preview to see what you get! These are a great resource for students (and teachers). Keep in mind though, the examples are not the only way to demonstrate understanding! 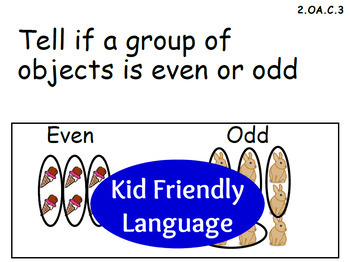 Check out my math vocabulary posters! the perfect complement to this product. 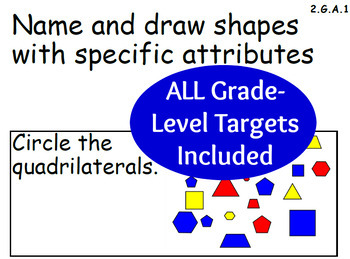 These math target posters are easily printed on 8½ x 11 inch paper or card stock. I print mine on cardstock and laminate them so I can use them over and over. You could even 3-hole punch them to keep in a binder, sorted by standard or year-long-plan! How to Raise Your Test Scores! Click to see how to increase SBAC, PARCC or any test results for every student, every year.